Uncork Summer is coming! 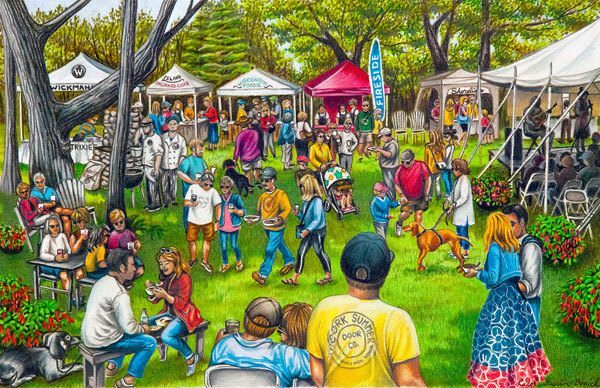 Mark your calendar for Door County's most-renowned outdoor festival, on Saturday, June 23, 2018. Located outdoors on the beautiful grounds of Wickman House, the highly-regarded restaurant in Ellison Bay, WI, the 5th Annual Uncork Summer will feature two dozen local chefs, restaurants and markets, all slanted towards farm-to-table dishes. Local wineries, breweries and cider makers are all represented. Lazy day summer music creates the mood for a fabulous day outdoors. Visit www.uncorksummer.com for more info about this year's festival participants!